Nineteen firefighters were killed Sunday battling a blaze in Arizona, the state forestry division said. State forestry official Art Morrison said the firefighters were members of a "hotshot" crew, tasked with digging a fire line and creating an escape route. "In normal circumstances, when you're digging fire line, you make sure you have a good escape route, and you have a safety zone set up," Morrison said. "Evidently, their safety zone wasn't big enough, and the fire just overtook them." A [You must be registered and logged in to see this link.] was created Sunday night. "Such a tragic loss. My heart aches for these brave souls, and for their families and friends," wrote one. "I pray for the families and the town of Prescott. RIP," wrote another. I seriously hate to hear about men and women with the hearts of Saviors being killed in the line of Duty! It takes a certain breed of people to do the Jobs they do and is always a great loss when they are taken. PHO, KTVK, KPNX and KNXV. (CNN) -- They were part of an elite squad who confronted wildfires up close, setting up barriers to stop their destructive spread. But the inferno blazing across central Arizona proved too much. The 19 firefighters were killed Sunday while fighting the Yarnell Hill fire, northwest of Phoenix. It was the deadliest day for firefighters since the 9/11 attacks. And it is the deadliest wildland fire since 1933, according to a list from the U.S. National Wildfire Coordinating Group. Twenty-five firefighters died when a blaze burned in light chaparral near Griffith Park, California. "Our entire crew was lost," Prescott Fire Chief Dan Fraijo told reporters Sunday night. "We just lost 19 of some of the finest people you'll ever meet. Right now, we're in crisis." The tragedy killed about 20% of the Prescott Fire Department. Fraijo said one member of the team was not with the other crew members and survived. Authorities believe lightning sparked the Yarnell Hill fire on Friday. By Sunday night, it had scorched more than 6,000 acres and destroyed more than 100 structures, incident commander Mike Reichling said. Billows of thick black smoke covered the sky as the giant flames leaped from one stretch of parched land to another. The wildfire also forced evacuations in Peeples Valley and Yarnell, but no civilian injuries were reported. Drivers fleeing the area were chased by dark plumes filling the air. Some evacuees paused to look from afar, wondering if the flames had torched their homes. The blaze hadn't touched Prescott yet. But like many other fire departments across the state, the Prescott team jumped in to help. The firefighters were members of a "hotshot" crew, tasked with digging a firebreak and creating an escape route. 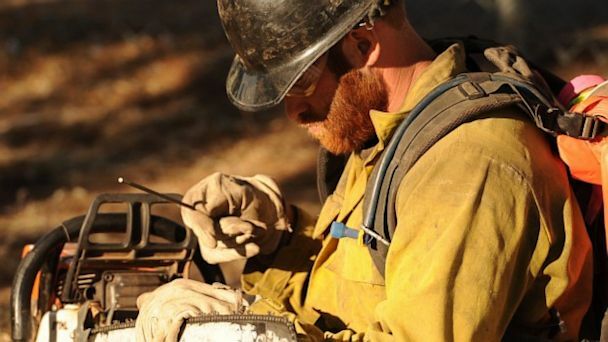 "A hotshot crew are the elite firefighters," state forestry spokesman Art Morrison said. "They're usually (a) 20-person crew, and they're the ones who actually go in and dig the fire line, cut the brush to make a fuel break. And so they would be as close to the fire as they felt they safely could." Fraijo, the fire chief, said he did not know the exact circumstances surrounding the firefighters' deaths and wouldn't speculate on a cause. But he said drought conditions, combined with winds that whipped unpredictably, have made battling the flames especially difficult. President Barack Obama lauded the efforts of the fallen firefighters. "They were heroes -- highly skilled professionals who, like so many across our country do every day, selflessly put themselves in harm's way to protect the lives and property of fellow citizens they would never meet," he said in a written statement. Arizona Gov. Jan Brewer, who will visit Prescott on Monday, said the loss marked "as dark a day as I can remember." "It may be days or longer before an investigation reveals how this tragedy occurred, but the essence we already know in our hearts: fighting fires is dangerous work," she said. "When a tragedy like this strikes, all we can do is offer our eternal gratitude to the fallen, and prayers for the families and friends left behind." Fraijo said the firefighters who died were exceptionally dedicated to their jobs. "These are the guys that will go out there with 40, 50 pounds of equipment and walk five miles. They'll sleep out there as they try to develop fire lines" to protect homes, Fraijo said. Before the 19 deaths in Arizona, 43 firefighters had been killed so far in 2013, according to the U.S. Fire Administration. A total of 83 firefighters died last year while on duty. A Facebook page in memory of the Arizona firefighters garnered more than 120,000 "likes" in less than 10 hours. "Such a tragic loss," one person wrote. "My heart aches for these brave souls, and for their families and friends." After the Bastrop, TX fires (worse fires in the history of TX) where only two people were killed..this breaks my heart! The 19 bodies were retrieved from the scene on Monday and were transported to Maricopa County, seat of Arizona's largest city, Phoenix, for an examination. As of July 01, 2013 03:32 Arizona Secretary of State Ken Bennett has declined to provide the name of the deceased firefighters. PRESCOTT, Ariz. -- The lone survivor on an elite Arizona firefighting crew was serving as a lookout and relaying key information to his colleagues when a raging wildfire trapped and killed them, officials said Tuesday. Brendan McDonough, 21, was in his third season with the 20-member, Prescott-based Granite Mountain Hotshots. He was assigned to be a "heads-up on the hillside" for the team on that fateful afternoon two days ago, said Wade Ward, a Prescott Fire Department spokesman who relayed McDonough's story at an afternoon news conference. Ward said McDonough "did exactly what he was supposed to" when conditions changed as his team fought the mountain blaze near the town of Yarn ell, about 80 miles northwest of Phoenix. He notified the other Hotshots that the weather was changing rapidly and told them the fire had switched direction because of the wind. He also told them he was leaving the area and to contact him on the radio if they needed anything, Ward said. Ward received a standing ovation as he implored the media: "Please leave him alone." McDonough "has no desire to speak to anybody at this point," he said. "He's trying to deal with the same things that we're all trying to deal with, but you can understand how that's compounded being there on the scene." The woman that is interviewed is the Mother of fallen Firefighter Andrew Ashcraft, who left a wife and four small children. I have a cousin that I've been trying to find for a while now, I knew he lived in Prescott but was never able to find him. I wondered if one of his sons were one of the Firefighters and it is, Andrew. I don't know how yet to get in touch directly w/ my cousin but am going thru' all info on it and maybe I'll have luck. No parent should have to go thru' this. 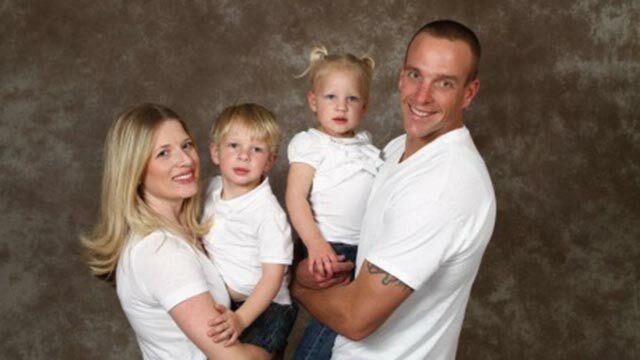 Andrew Ashcraft, his wife and children. 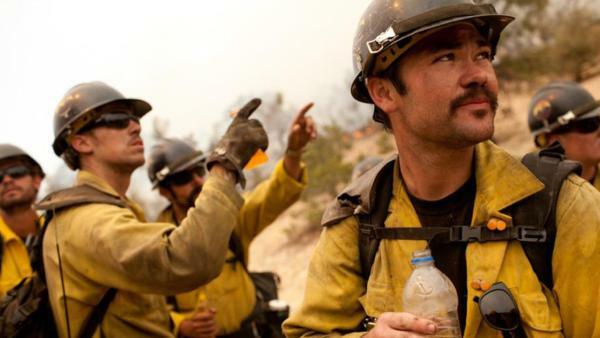 (CNN) Brendan McDonough, a lookout for his elite 20-man Arizona wildfire-fighting crew, saw Sunday's blaze change directions and warned his team by radio from his hilltop perch. The new conditions, he told them, also were forcing him to leave that spot, officials recalled Tuesday. He did what he was trained to do, officials said. And because he did, McDonough might have escaped his own death by seconds. McDonough was trying to go to another lookout point when the Yarnell Hill fire [You must be registered and logged in to see this link.] of Prescott Fire Department's Granite Mountain Hotshots, Prescott Fire Department spokesman Wade Ward said. The incident, part of a fire that has burned more than 8,400 acres since Friday, produced the deadliest day for firefighters since the 9/11 attacks. "He [McDonough] was doing what he was supposed to do," Ward told CNN. "The crew was doing what they need to do. This is why they call this kind of thing an accident." Ward, who confirmed McDonough's name and job Tuesday, said McDonough is having a hard time dealing with his comrades' deaths and wasn't ready to talk. In a statement released through a fire official Tuesday, McDonough said he was grateful for the public's "outpouring of support towards his organization," and he asked for privacy for his family and his comrades' relatives. "Everyone can appreciate that he's working though the process of dealing with this loss, and that could last for some time," said Bob Orrill, a regional incident commander that is helping the fire department. "His lookout had already burned over"
McDonough was overlooking his teammates when he told them the "weather was changing rapidly," and winds moved the fire in a different direction, Wade told reporters Tuesday. Wade didn't have particulars, but he said the changes amounted to a "trigger point" -- previously agreed conditions that would require him to go to another spot. McDonough, as prescribed, told the crew he was leaving, and that "he would contact them and they could contact him if they needed anything," Wade said. He went down the hill and met a supervisor of a different hotshot crew. Hotshot crews such as McDonough's are elite teams that are called to get close to the blaze, dig barriers and clear out the brush and other material that otherwise would fuel it. McDonough turned around. He apparently left just in time. "The location that he was at at his lookout had already burned over," Wade said. "He got in (a) vehicle (with the other team's supervisor) and was taken to a safety zone." Perhaps a mile or two away from McDonough's original location -- Wade didn't know Sunday's particulars, but he said that's typically the distance between lookout and crew -- the fire overcame the 19. The deaths are under investigation, but officials have said it appears the 19 were forced to lie down under fire shelters, blankets meant to protect against flames and heat, as a last resort against an inferno that overwhelmed them. "You cannot immediately drop somebody in another position"
One Prescott official, speaking with Wade at the news conference in Prescott Tuesday, told reporters that it was protocol to have a hotshot lookout in place at all times. The officials there said they didn't know whether another lookout was in place when McDonough moved. Either way, Wade said, McDonough "was doing his job and the hotshot crew was doing their job." "You cannot immediately drop somebody in another position," Wade said. "There are lookouts in the air ... as well as other lookouts. He left his post based on protocol, and we was moving to a new position." The Prescott community has taken the deaths hard. Many attended a memorial service at the city's Embry-Riddle Aeronautical University campus Monday. A tribute outside Prescott Fire Station No. 7 grew that day, with flowers, American flags and signs placed on or near a fence that separated the station from a road. The tokens also included 19 bottles of water, arranged in a circle. On Monday, the Prescott fire chief also told reporters -- without identifying McDonough at the time -- that the 20th member was struggling. "Unfortunately, we have very few words to express that kind of sorrow, but we understood each other," Prescott Fire Chief Dan Fraijo said Monday. "When you take a person in your arms and you hug them, you don't have to say too much." Firefighters in Arizona say government officials should ease environmental restrictions and spend more money to clear brush and light prescribed burns. PHOENIX -- As families begin to return to the fire-ravaged communities of Arizona's Yarnell and Peeples Valley, and as investigators delve into why the blaze killed more firefighters than any U.S. wildfire in 80 years, fire experts are renewing calls to make prescribed burns easier to accomplish. Days after the fire, President Barack Obama said the incident "will force government leaders to answer broader questions about how they handle increasingly destructive and deadly wildfires." Firefighters say they know the answers: Ease environmental restrictions and spend more to clear brush and light prescribed burns. They are calling for political courage. "If I had a magic wand, I'd be burning 100,000 acres a year in Arizona. Until we do that, we will never get out of this problem," said Dugger Hughes, an Arizona battalion commander who leadsthe fight at many of the largest wildfires in the West. "You have to get someone at the political level to say: 'We're fixing the forests.' That's what it will take to stop towns burning and to stop killing people," he added. Hughes said it typically costs $5 per acre in wilderness areas to do a prescribed burn and about $50 per acre near communities. Thinning with mulchers, chain saws and other heavy equipment costs $500 an acre. Fighting the Doce Fire near Prescott that started last month cost $1,200 per acre. No one wants to put a cost on 19 lives. Rem Hawes, who manages a million acres of land northwest of Phoenix for the U.S. Bureau of Land Management, said authorities knew the Yarnell area was dangerous. "We always envisioned that we'd face a catastrophic fire from the southeast of Yarnell," he said. In 2008, the agency completed a project to thin 14,000 acres of the Weaver Mountains near Yarnell to the southeast, using machines and prescribed burns, he said. The BLM plan called for creating a checkerboard pattern of cleared chaparral on 14,000 acres in the Weaver Mountains and foothills, and to burn 1,000 acres each year there for up to a decade. Up to 80 percent of chaparral was to be cleared. "We have more work to do in other areas, but that was a high enough priority that we got it done," Hawes said. Whether local and state agencies took similar steps is unclear. Last week's fatal fire flared up west of Yarnell, but in identical landscape that's managed by the Arizona State Forestry Division. The state is required to manage the fire risk on its land. The Arizona Republic submitted a public-records request for copies of the land and fire-management plans for state holdings near Yarnell, along with a log of any fuel-reduction work done. The state said it would release documents after the fire had died down. The agency says on its website that it issues $1.5 million in grants statewide to reduce hazardous fuels to prevent "large catastrophic wildfires from threatening communities." Emergency officials inYavapai County had a plan, too. In 2004, the Yavapai County Communities Wildfire Protection Plan was adopted. It expanded the boundaries of previous wildfire-prevention districts to include Yarnell and allowed the BLM to help pay for fire-prevention work there and elsewhere. The Yavapai plan promised to "prioritize areas for hazardous-fuel reduction treatments." The plan rated the fuel hazard of chaparral as "high." Planners described the challenge of protecting 1,500 square miles as "seemingly impossible," noting just the initial effort would take $12 million and 17 years. Money alone won't solve the problem, according to experts like Paul Broyles, who retired in 2009 as chief of fire operations for the National Park Service. "The reality is ... there are not enough money or people or resources to go around to make a dent," Broyles said. Regulations to protect habitats and clean air often interfere, as regulators balance protecting endangered species and people's lungs with the need to thin forests. It can take up to four years to get approval to do a burn, which has to happen in a three-month window in the fall. Even then, crews can burn only a few hundred acres at a time, and the backlog of acreage is in the millions. One in five burns is halted midway by state regulators, Hughes said. A 1996 blaze that destroyed thousands of acres in Four Peaks shows what can go wrong without a burn. The year before, a controlled-burn permit was denied to protect the spotted owl. The entire range went up, and with it, the owl's habitat. Fires in Arizona at Alpine, Mount Baldy and Prescott show that brush mulching and prescribed burns stopped worse devastation. • Loosen restrictions in the Clean Air Act to exempt prescribed burns, or at a minimum make them easier. • Loosen restrictions protecting endangered species in the National Environmental Act, particularly when their native habitats rely on periodic fires. • Direct environmental regulators to follow policies uniformly. • Increase federal and state budgets for fire prevention. • Convince environmental activists that improving forest health is better, not worse, for the environment, and convince the public in fire-threatened areas that controlled burns are vital. • Pass and enforce stricter laws requiring property owners to clear dangerous fuels on their land and create "defensive space" from structures. • Hire more "hotshots" or specially-trained crews to do brush clearance and prescribed burns. • Promote volunteer crews to clear fuel. Without action, fire experts widely expect increasing numbers and severity of wildfires. Thousands gathered in Prescott, Ariz., to honor the 19 elite firefighters killed during the Yarnell Hills Fire, including first responders from San Diego. 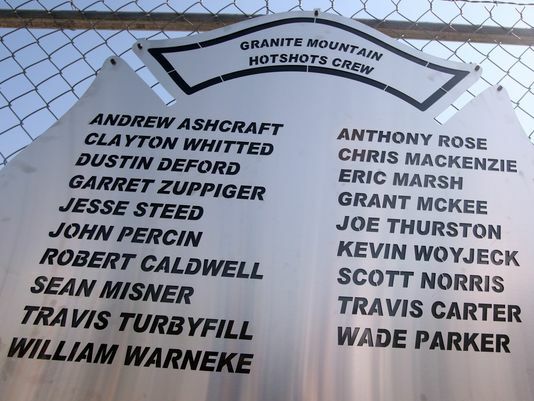 The firefighters from the Granite Mountain Hotshot crew died June 30 -- the largest loss of U.S. firefighters since the September 11, 2001, terrorist attacks. Local law enforcement and firefighters also travelled to Arizona, volunteering their time to pay their respects to the fallen heroes. San Diego Fire Rescue Department spokesperson Maurice Luque said eight members of the department travelled to Arizona, including one assistant fire chief. Four officers from San Diego Police Department's honor guard, as well as two officers from the La Mesa Police Department and two from the San Diego County Sheriff's Department were also in Arizona for the event. 10News spoke with SDPD Officer and honor guard member Geoff DeCesari right before he walked into the memorial. "You can see about six blocks down and it's lined in rows of two of all different hotshot vehicles," DeCesari said. "Until you start reading in the program that they handed out to everybody -- they gave us the bios of each one of the firefighters ... they were all young. Several of them have young children. Until you put the face to the tragedy, it's hard to describe." Vice President Joe Biden was among the dignitaries who spoke at the memorial Tuesday morning. Biden said there are 108 hotshot crews in the United States. "These men were some of the strongest, most disciplined, tenacious, physically fit men in the world. An elite unit in every since of that phrase," Biden said. 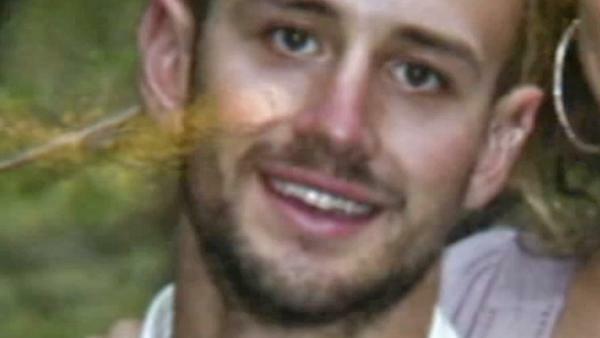 Robert Caldwell, 23, from Costa Mesa, Calif., is shown in this undated file photo. 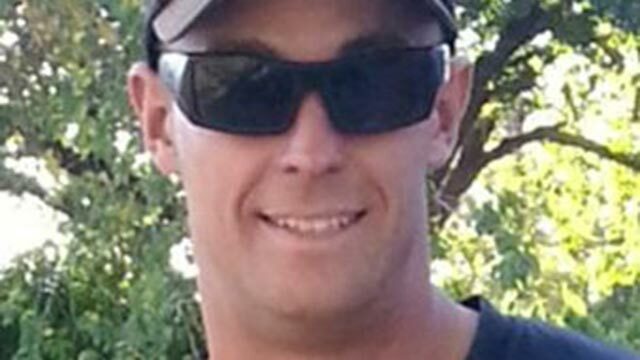 Caldwell was one of 19 firefighters who were killed battling a wildfire near Yarnell, Ariz.
Friends characterized Caldwell as the smart man in the bunch. 'He was really smart. He had a good sense of humor,' said Chase Madrid, who worked as a Hotshot for two years, but sat this year out. 'He was one of the smart guys in the crew who could get the weather, figure out the mathematics. It was just natural for him,' Madrid said. It was Caldwell's intelligence and know-how that got him appointed as a squad boss. 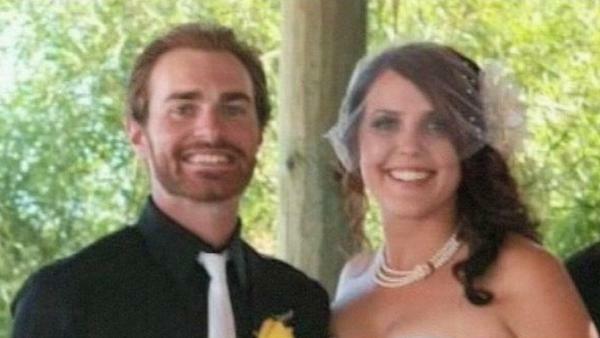 His cousin, Grant McKee, also was one of the Hotshots killed Sunday. 'Robert was a gentle giant - he was man of few words,' said his aunt, Laurie McKee. He had just gotten married in November, and had a 5-year-old stepson. 'Both of these boys were only interested in having a family life. Robert was newly married, and Grant was engaged. They just wanted the house and the dog,' McKee said. Mary Hoffmann was grandmother to both boys. 'To have two grandsons gone, it's devastation,' she said. 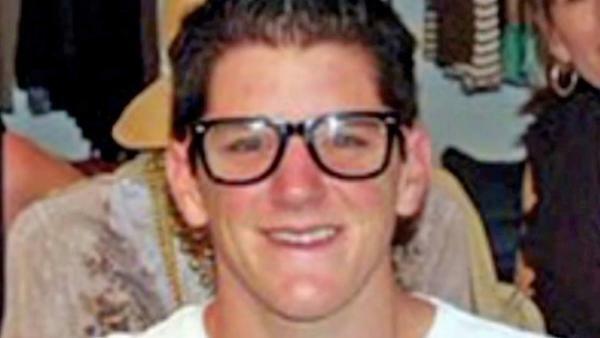 Grant McKee, 21, from Costa Mesa, Calif., is shown in this undated file photo. McKee was one of 19 firefighters who were killed battling a wildfire near Yarnell, Ariz.
McKee loved to give things away. 'Even as a child, I'd ask him where things were, and he'd say, 'Oh, such and such liked it.' And sometimes it really cost a lot! But he'd say, 'Oh, he liked it so much,'' said his grandmother, Mary Hoffmann. 'So on his birthday, I started to say, 'I hope you're going to keep this!'' she said. McKee's cousin, Robert Caldwell, also was a Hotshot and also was killed Sunday. McKee's mother said Grant was training to be an emergency medical technician and only intended to work with the Hotshots for the summer. Kevin Woyjeck, 21, is shown in this undated file photo. Woyjeck was one of 19 firefighters who were killed battling a wildfire near Yarnell, Ariz.
For Woyjeck, the fire station was a second home. His father, Capt. Joe Woyjeck, is a nearly 30-year veteran of the Los Angeles County Fire Department. Keith Mora, an inspector with that agency, said Kevin often accompanied his dad to the station and on ride-alongs and always intended to follow in his footsteps. 'He wanted to become a firefighter like his dad and hopefully work hand in hand,' Mora said Monday outside of the fire station in Seal Beach, Calif., where the Woyjeck family lives. Mora remembered the younger Woyjeck as a 'joy to be around,' a man who always had a smile on his face. He had been trained as an EMT and worked as an Explorer, which is a mentorship training program to become a professional firefighter. Billy Warneke, 25, is shown in this undated file photo. Warneke was one of 19 firefighters who were killed battling a wildfire near Yarnell, Ariz.
Warneke and his wife, Roxanne, were expecting their first child in December, said his grandmother, Nancy Warneke. Warneke grew up in Hemet, Calif., along with his fellow Granite Mountain hotshot, Chris MacKenzie. He was a four-year Marine Corps veteran who served a tour in Iraq and had joined the hotshot crew in April, buying a property in Prescott, near where his sister lived, the newspaper reported. He earned an associate of applied science degree in fire science from Pima Community College last year, the school said. 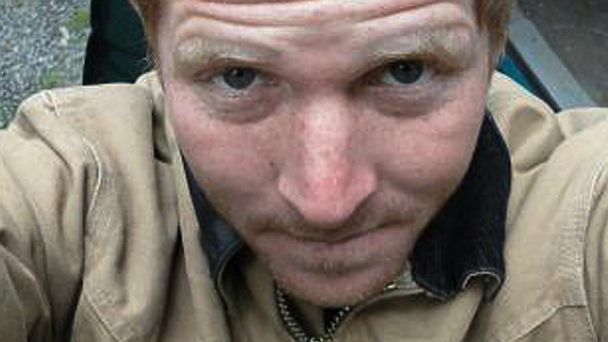 Chris MacKenzie, 30, is shown in this undated file photo provided by his family. 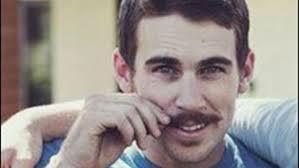 MacKenzie was one of 19 firefighters who were killed battling a wildfire near Yarnell, Ariz.
An avid snowboarder, MacKenzie, grew up in California's San Jacinto Valley, where he was a 2001 graduate of Hemet High School and a former member of the town's fire department. He joined the U.S. Forest Service in 2004, then transferred two years ago to the Prescott Fire Department, said longtime friend Dav Fulford-Brown. MacKenzie, like at least one other member of the Granite Mountain Hotshots, had followed his father into firefighting. 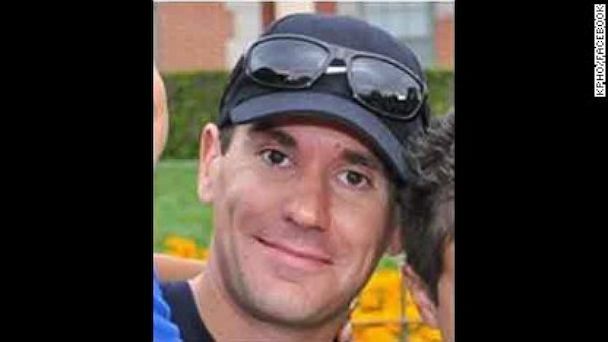 Michael MacKenzie, a former Moreno Valley Fire Department captain, confirmed he had been informed of his son's death. 'I can't talk about it,' he said. Fulford-Brown, also a former firefighter, feared for the worst once he heard the news of the Arizona firefighters. 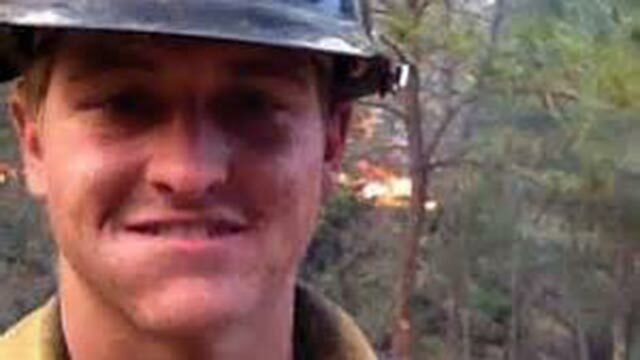 Andrew Ashcraft, 29, one of the 19 firefighters killed while battling a wildfire near Yarnell, Arizona on Sunday, June 30th, 2013, is shown in an undated file photo. Prescott High School physical education teacher and coach Lou Beneitone taught many of the Hotshots, and remembered Ashcraft as a fitness-oriented student. Ashcraft, a member of The Church of Jesus Christ of Latter-day Saints, was honored to be a member of the Hotshot crew, and 'he just had a really sweet spirit about him,' said Prescott resident Elise Smith. Ashcraft left behind a wife, Juliann, and four children. 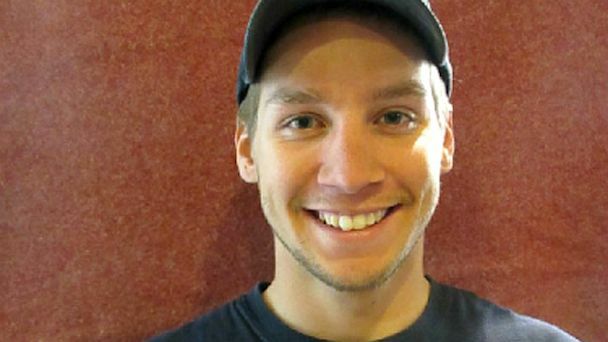 John Percin Jr., 24, one of the 19 firefighters killed while battling a wildfire near Yarnell, Arizona on Sunday, June 30th, 2013, is shown in an undated file photo. 'He was probably the strongest and bravest young man I have ever met in my life,' Donna Percin Pederson said from her home in Portland, Ore.
Percin, was a multisport high school athlete who graduated in 2007 from West Linn High School, southeast of Portland. Geoff McEvers grew up playing baseball with Percin and remembered him as a fun-loving guy with an unforgettable laugh. McEvers said he learned about Percin's death through friends. 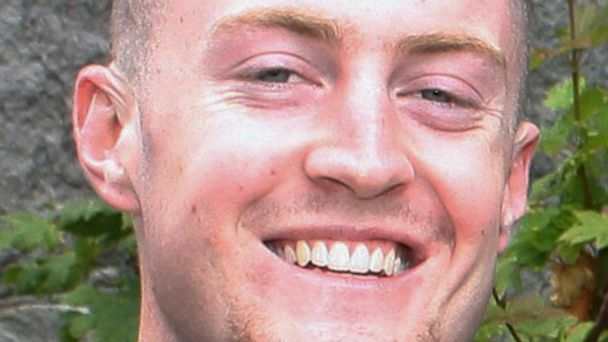 Sean Misner, 26, is shown in this undated file photo. 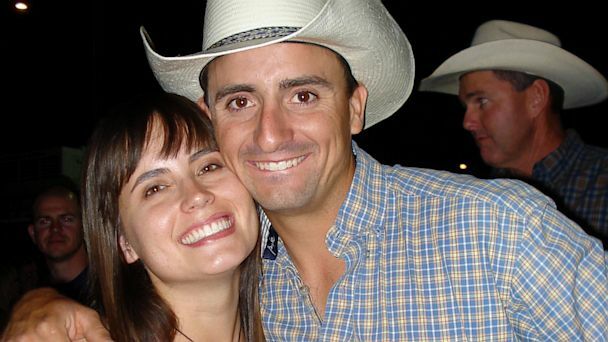 Misner was one of 19 firefighters who were killed battling a wildfire near Yarnell, Ariz.
Misner leaves behind a wife who is seven months pregnant, said Mark Swanitz, principal of Santa Ynez Valley Union High School in Santa Barbara County, where Misner graduated in 2005. Misner played varsity football and also participated in the school's sports medicine program, where he wrapped sprained ankles and took care of sidelined athletes. 'He was a team player, a real helper,' said Swanitz. In high school, Misner played several positions, including wide receiver and defensive back. He was slim for a high school football player, but that didn't stop him from tackling his opponents, recalled retired football coach Ken Gruendyke. Wade Parker, 22, Parker, one of the youngest members of the Hotshot team, had only recently joined the elite crew of firefighters. Firefighting ran in his blood. 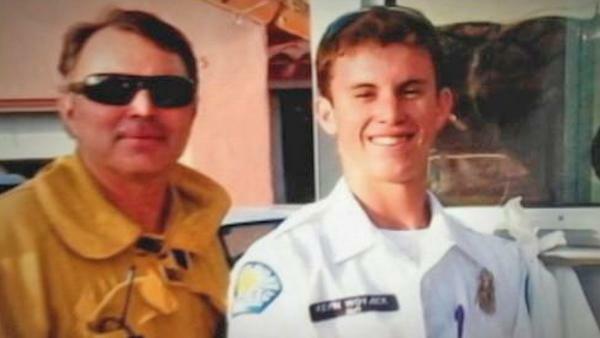 His father works for the nearby Chino Valley Fire Department. "He was another guy who wanted to be a second generation firefighter," said retired Prescott Fire Department Capt. Jeff Knotek, who had known Parker since he was a child. Knotek described Parker as a "big, athletic kid" who loved his job and was "aggressive, assertive and in great shape." "It's just a shame to see this happen," Knotek said. Parker was engaged to be married this fall. 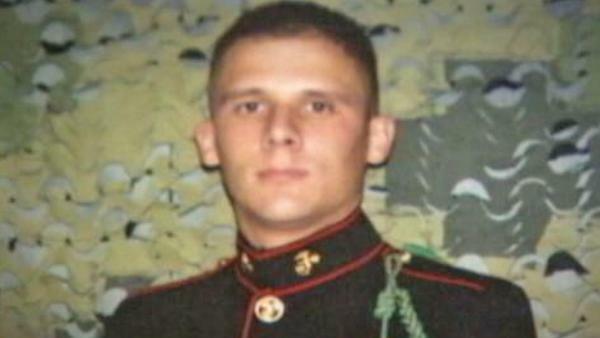 Jesse Steed, 36, The former Marine and Hotshot veteran spent the past two years as captain of the Granite City Hotshots. Former Hotshot colleague Cooper Carr recalled Steed as a joker. "A job like the Hotshots is hard, hard work and you don't stay in it if you don't love it,"
Police officer Cassidy Steed said his brother "always put his life on the line for people who he knew he would never meet." Anthony Rose, 23, Rose, one of the crew's youngest members, grew up in Wisconsin and had previously worked as a firefighter in nearby Crown King, Ariz., before becoming a Hotshot. Retired Crown King firefighter Greg Flores said that Rose "just blossomed in the fire department." "He did so well and helped so much in Crown King. We were all so very proud of him," Rose said. "He was the kind of guy that his smile lit up the whole room and everyone would just rally around him. He loved what he was doing, and that brings me some peace of heart." Travis Carter, 31, Carter was known among his peers for both his strength and his humility. Many of the Hotshots trained at Captain Crossfit, a gym near the firehouse where they were stationed. "No one could beat him," trainer Janine Pereira said, "But the thing about him was he would never brag about it. He would just kill everyone and then go and start helping someone else finish." He was notorious for making up brutal workouts for the crew and famous for once holding a plank [pose] for 45 minutes, Pereira said. 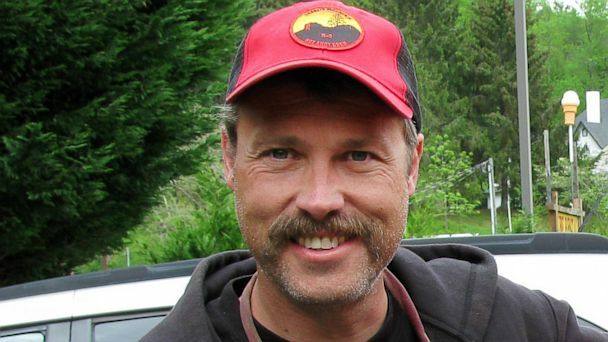 Eric Marsh, 43, The avid mountain biker grew up in Ashe County, N.C., and became hooked on firefighting while he was studying biology at Arizona State University. He was superintendent of the Hotshot crew and the oldest of the 19 who died. Marsh left behind a wife. His father said he was "a great son" who was "compassionate and caring about his crew." Garret Zuppiger, 27 Zuppiger loved to be funny, according to trainer Tony Burris, who worked at the gym where many of the Hotshots worked out. "We both had a red beard and so we would always admire each other's beards," Burris said. "We also had a few conversations about beer." His humor was evident on a blog where he wrote about everything from hiking with his mother to his grandmother's one-eyed Chihuahua. When he turned 25, he wrote on the blog, "Everyday is like a gift!" Scott Norris, 28. Norris was well-known around town because of his part-time job at a gun store, which a local likened to a barber shop where people hang around and talk. "I never heard a dirty word out of the guy. 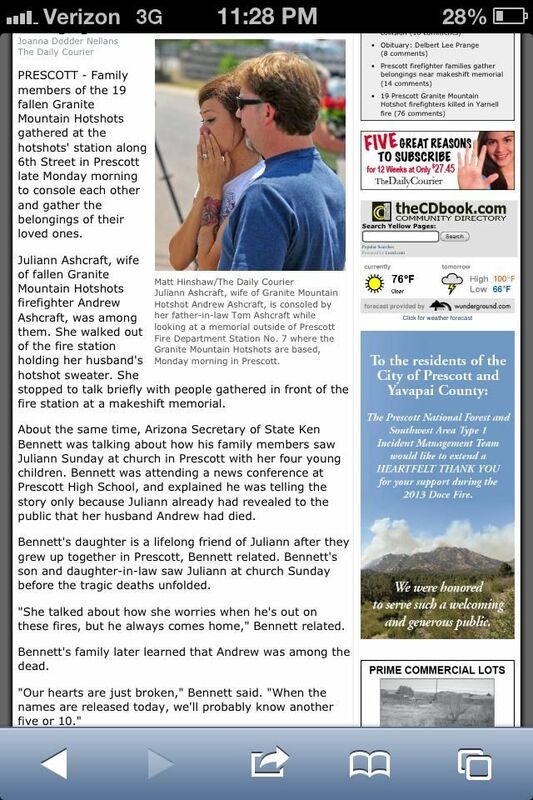 He was the kind of guy who if he dated your daughter, you'd be OK with it," said Prescott local William O'Hara. "He was just a model of a young, ideal American gentleman." 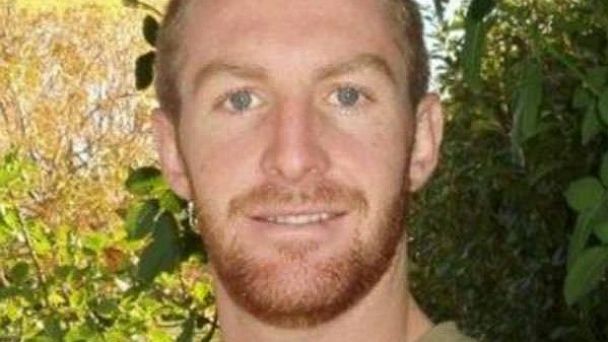 Joe Thurston, 32 Friends knew the Utah native as someone who was daring and determined. Travis Turbyfill, 27 The husband and father of two looked like a tough guy, but had a soft-spot for his two young daughters, friends said. "Because he's this big, huge Marine, Hotshot guy, and he has two little girls, reddish blonde curly hair and they just love their dad," trainer Tony Burris said, Turbyfill's wife is mourning his loss. "Travis was a strong man, a great firefighter and a natural leader," his wife Stephanie said, "But more than anything, he was a man of God, my loving husband, and an absolutely wonderful daddy to our two sweet little girls. He is tremendously missed by all of us." Dustin Deford, 24 In January 2012, Deford tweeted to friends that he had passed the physical fitness test to become a Hotshot and asked for prayers as he headed for the interview process. He moved to Arizona from Montana after he was hired as a Hotshot. "He listened very well. He was very respectful," said Captain Crossfit. Trainer Tony Burris said "He kind of had a dry sense of humor." Clayton Whitted, 28, He wasn't the biggest Hotshot, but he more than made up for it with hard work and heart, friends said. "He was a smart young man with a great personality, just a wonderful personality," Whitted's former Prescott High School coach Lou Beneitone said[You must be registered and logged in to see this link.]. "When he walked into a room, he could really light it up." Beneitone said that Whitted loved being a firefighter and was well-respected among his colleagues. Beneitone saw Whitted a few months ago and the two shook hands, hugged and talked about the upcoming fire season. "I told him to be careful," Beneitone said. I do not know what happened to my post that I just tried to post, it said 'post does not exist'! Nite, how nice of you to post each one of the Hotshot's individual photo and bio. There was a public memorial yesterday, I watched it online and the bldg that it was in must have held thousands and there were tons of people outside watching it from the big screens that were put up. It really blew my mind that so many showed up. 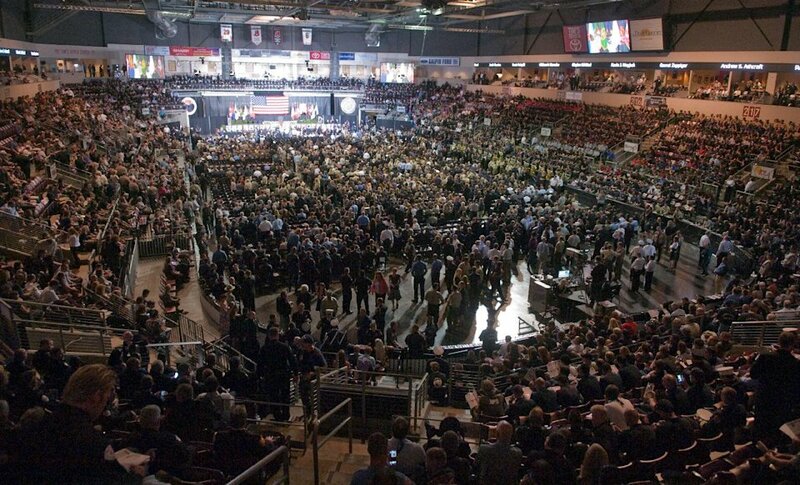 PRESCOTT VALLEY, Ariz. (AP) — Thousands of firefighters and law enforcement officers from New York to California filed into a northern Arizona arena Tuesday to mourn 19 firefighters killed in a wildfire and to support the families they left behind. The memorial in Prescott Valley began with a choir singing "On Eagle's Wings" as Vice President Joe Biden sang along from the sidelines. Homeland Security Secretary and former Arizona Gov. Janet Napolitano, current Arizona Gov. Jan Brewer and members of the state's congressional delegation also were at the memorial. Biden and Brewer are set to speak at the memorial service. Prescott's Granite Mountain Hotshots were overrun by smoke and fire while battling a blaze on a ridge in Yarnell, about 80 miles northwest of Phoenix. One member survived — Brendan McDonough, 21, who was serving as a lookout and wasn't in the immediate burn zone. A stone-faced McDonough filed onto the stage and will offer what's called "The Hot Shot's Prayer," which ends with a line that will most certainly be difficult for the young man to read: "For if this day on the line ... I should answer death's call ... Lord, bless my hot shot Crew ... My family, one and all." Outside, each of the 19 firefighters was represented by a U.S. flag and a purple ribbon with his name. A bronze statue of a wildland firefighter with an ax in hand, stood in front as if guarding the arena. Inside, each of the firefighters' names scrolled across an electronic board on two sides of the minor league hockey arena. Lined up in front of the stage were 19 sets of firefighting gear, complete with commemorative Pulaski tools similar to the ones the elite crew uses to dig lines around fires. Prescott Fire Chief Dan Fraijo is expected to give the tools to the firefighters' families, along with flags that had flown over the U.S. Capitol in honor of them. Alumni of the Granite Mountain Hotshots sat in the front rows, with about 1,000 members of the fallen firefighters' families surrounding them in seats on the floor of the arena. Those who first responded to the Yarnell Hill Fire sat in the rows behind them. Capt. Steve Brown of the Rancho Cucamonga, Calif., Fire District brought 17 others in his department of 85 uniformed firefighters. The job, he said, is driven first by the desire to help others and, secondly, by the excitement of not knowing where you're headed when that alarm sounds. Those feelings — along with long work days often away from family — are shared among firefighters regardless of where they're stationed, he said. "You can't judge a person till you've walked a mile in their shoes," he said. "If you do the job, you understand the job. That's where the camaraderie comes in." Being part of the brotherhood doesn't come automatically when someone joins a firefighting crew, Steve Rushing of the Burbank, Calif., Fire Department said. Each has to earn respect and gain the trust of others through hard work and commitment, he said. McDonough was assigned to give a "heads-up on the hillside" for the team on that fateful afternoon, said Prescott Fire Department spokesman Wade Ward. He notified the crew of the rapidly changing weather conditions that sent winds swirling erratically and caused the fire to cut off his team's escape route, then swiftly left his post for safety. Ward said it's just been too tough on McDonough, but that "he did exactly what he was supposed to." "He's trying to deal with the same things that we're all trying to deal with, but you can understand how that's compounded being there on the scene," Ward said last week. The highly specialized crew was part of a small community of Hotshots nationwide, just about 110 of the 20-person teams mostly stationed west of the Mississippi River. The memorial service, called "Our Fallen Brothers: A Celebration of Life," will be the last of a handful of vigils for the men before the first of 19 funerals begin later in the week. Nite, Thank you for all you do here. Thank You for posting every fireman's bio. SO SAD!! An earlier version of this story misstated the role of Change.org. PHOENIX — The family of a firefighter killed with 18 colleagues while battling a summer wildfire is waging a campaign urging the city of Prescott, Ariz., to provide his survivors with full health and pension benefits. The city, which employed Andrew Ashcraft and other members of the Granite Mountain Hotshots, says Ashcraft and 12 others who died were seasonal employees, leaving their survivors ineligible for benefits that would go to a full-time employee. "I want to be able to just be mourning my husband, be supporting my children, be figuring out what our new normal is," Juliann Ashcraft, Andrew's widow and mother of their four children, said at a news conference Wednesday outside the Yavapai County courthouse in Prescott. "As shocked as I was that my husband went to work and never came home, I'm equally shocked in how the city has treated our family since then,'' she said. 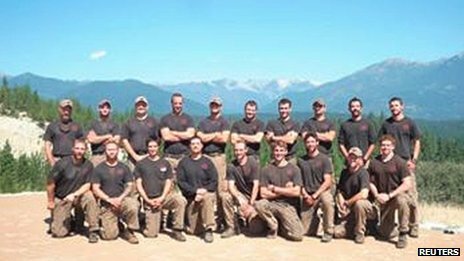 Nineteen members of the Granite Mountain Hotshots died June 30 when their position was overrun by the Yarnell Hill Fire, which they were working to contain. Only one member of the hotshot team, a lookout positioned elsewhere on a ridge, survived. Ashcraft has won support in her benefits fight from the widow of the chief of the Granite Mountain Hotshot crew. "I'm only here for Juliann at the moment," said Amanda Marsh, making a rare public appearance outside the courthouse after the news conference. Eric Marsh, the crew's superintendent, also died in the Yarnell Hill Fire. 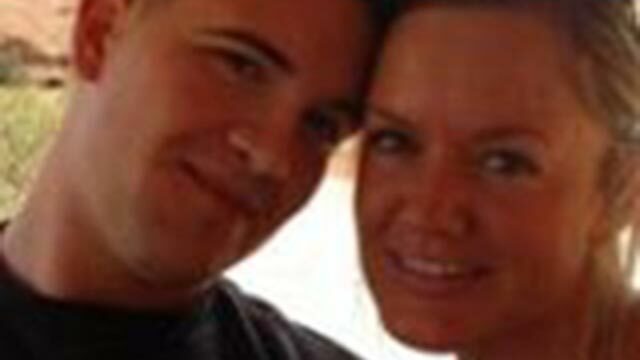 Amanda Marsh said her husband had tried to secure full-time benefits for Andrew Ashcraft before they died. "My husband ... used to not be able to sleep at night, trying to deal with Andrew Ashcraft's benefits," she said. "He was very upset with the city. He was very upset with the entire City Council because they made it so hard for him to get benefits for that position. "And my husband — this fair and just and amazing human being — could not deliver that to Andrew and his family. ... I just remember he couldn't sleep at night. I do remember that very clearly." Ashcraft worked more than 40 hours a week during much of the year, but Prescott officials said he was not eligible for pension and health benefits paid to survivors. Prescott City Attorney Jon Paladini said in a statement late Wednesday that the deaths of the firefighters has been "nothing less than our worst nightmare'' and that the city is "working to resolve'' the dispute. "We are sincerely trying to navigate this landscape in the best way possible for the families, the community and the nation," he said. "Currently, inequities exist based on time served, rank, and employment status." "It is not, nor would it ever be, a situation of the city 'denying' anyone anything, as has been wrongfully accused. Nor has the city broken any promises. The facts and documents confirm this. Despite that, we understand this is a very personal, emotional issue, and it's one we are working to resolve." Juliann Ashcraft argues that her husband merited full-time benefits. An online petition making that request at Change.org is delivering signatures daily to Prescott city officials. "The bare bones of it is, he worked full time," she said in an interview. "I just know I've got to fight for what he earned. He died, and in doing so, he earned the right for his children to be provided for. And yet now, somehow, I have to prove why. And I don't understand that." All families are to receive a one-time payment of $328,613 and various other financial and tuition benefits. But the families of firefighters who were not categorized as full time are not eligible for three benefits that will go to survivors of the six full-time firefighters who died: health insurance, a lump-sum life-insurance payment and monthly lifetime survivor benefits. The lifetime survivor benefits are paid out by the Public Safety Personnel Retirement System, which Ashcraft did not pay into, city officials said. The difference could amount to millions of dollars. Ashcraft's employment application and forms that detail his work each season show he was a temporary seasonal employee who worked nearly year-round for the city in various assignments. Personnel records provided by the city show that Ashcraft twice applied for other full-time positions but scored lower than other members of his team who were promoted to full time. Juliann Ashcraft said her husbandhad full-time employee responsibilities and got the same hourly pay rate as full-timers. "The city, in an attempt to save a few bucks, has classified him for the purpose of benefits as a seasonal or part-time employee when, in fact, he worked full-time hours,'' she said. Prescott Mayor Marlin Kuykendall, who spoke for the first time in public about the benefits issue Wednesday, said he and the City Council have never discussed the issue. "I'm not even sure what the benefits are for Ms. Ashcraft," Kuykendall said. When asked whether the city would consider extended health and other benefits for Ashcraft, Kuykendall said, "We will not break state, county or federal regulations." In a statement Monday, city officials said it was "being wrongly accused of failing to provide survivor benefits to the families of the seasonal fallen Granite Mountain Hotshots." "It has been mistakenly suggested that the city made a promise that it would somehow find a way to retroactively reclassify temporary employees as permanent employees so the families can receive additional survivor benefits," said Pete Wertheim, Prescott communications manager. "The city cannot do this legally. The benefits for programs such as health insurance and the public-safety employee pension can only be provided if the individual was enrolled in those programs when the death occurred." You go Juliann! I cannot believe this woman! Awesome! Please sign this petition. It's crucial! John Percin's grandparents just live in the same senior community as I do.....just a few blocks from me. Wrapitup wrote: This is DESPICABLE!!!!!!!!!!!!!!!!!!!!!!!!!!!!! !